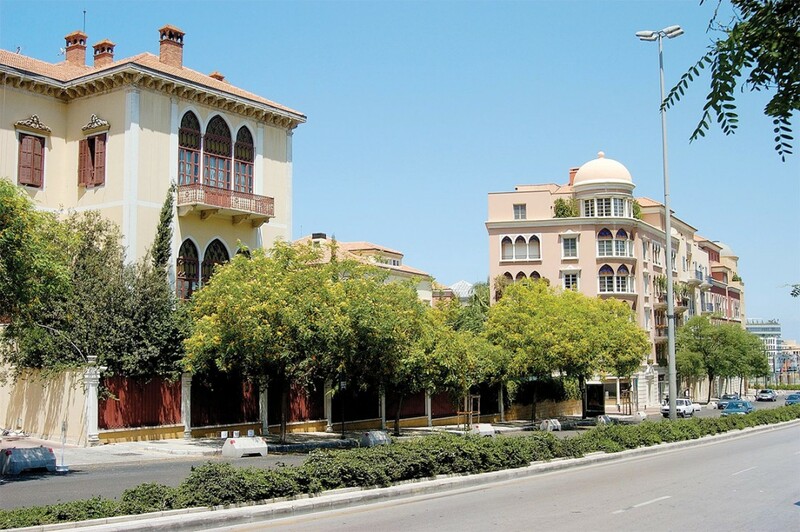 One of the earliest residential neighborhoods to be completed at the reconstruction of Beirut Central District (BCD) at the end of the 1990s, Saifi Village was a quasi pilot project to test the potential of downtown Beirut. Located at the south-eastern end of BCD, in the old carpenters’ quarter of Said Akl Street, Saifi Village is a highly atypical residential neighborhood of Beirut. Well restored and immaculately planned, Saifi Village is unique in Beirut. It was immensely popular and vacancies were extremely rare. However, despite its many advantages, Saifi Village is not totally unaffected by the general slowdown in the real estate market of Beirut. Selling prices are stable (sometimes on a slight decrease), rental values are dropping, more and more retail units stand vacant, and two projects have been altered or put on hold. In its haydey, Ahmad Chaouki Street, which turns into the Avenue des Français at its eastern end, was reminiscent of the Promenade des Anglais on the French Riviera in Nice. It has since been renamed (Ahmed Chaouqi Street). This wide avenue, one of the widest in Beirut Central District, used to lounge the Mediterranean back in the 1960s and was a favorite haunt of the idle strollers, going around the St. George’s Bay. Since the landfill of the former Normandy – renamed Beirut Waterfront District, the street no longer has a seafront façade. However, some of the tall towers dotting its length do have views of the Mediterranean. 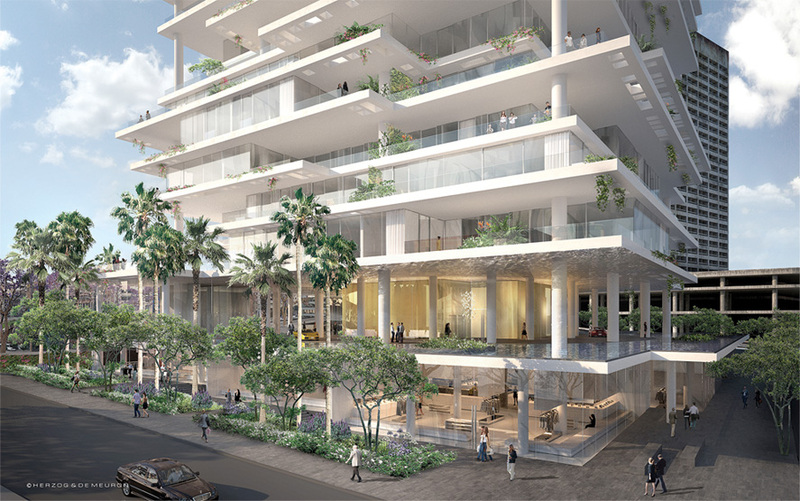 The area surrounding Ahmad Chaouki Street is a mixed landscape that includes two hotels, Monroe and the Grand Hyatt (temporarily on hold), several residential towers, offices (Starco and New Starco), and retail spaces along street level. Solidere inaugurated Beirut Souks to great pomp at the end of 2010. Even though it is still early to judge the center’s performance three years after its launching, it is undeniable that the Souks have become the leading luxury address in Lebanon, in continuity with leading international brand names already established in the Foch-Allenby area. The jewelry corner with some of the most exclusive high-end names make Beirut Stouks a highly select destination that seduces the local and expatriate moneyed elite. 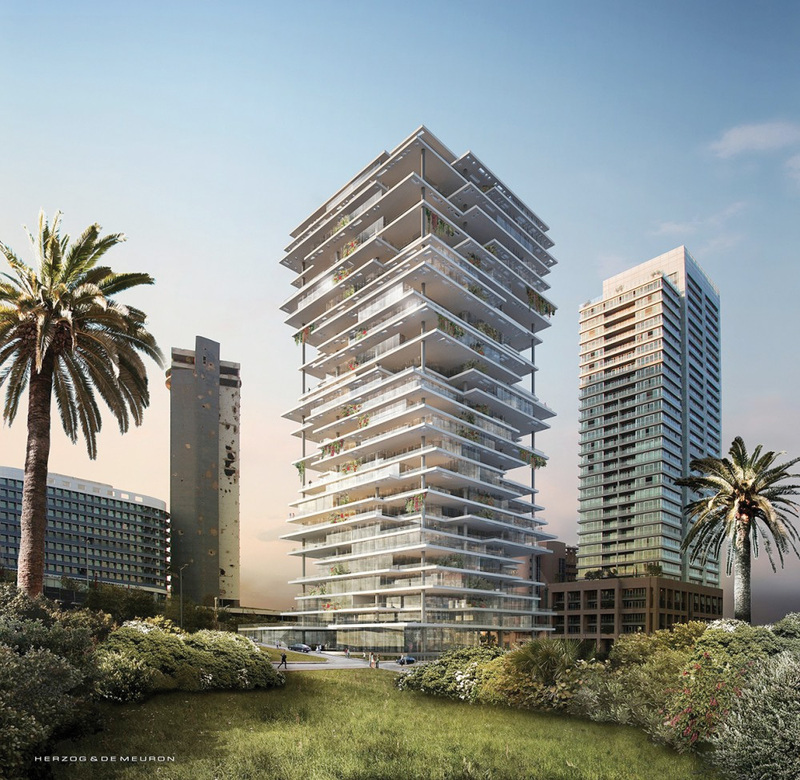 The Beirut Central District (BCD) has defined itself from the earliest days of its reconstruction as the leading prime real estate address of the capital. Its developments follow the highest international design and construction standards, its buildings adhere to the strictest norms, and it has the most perfected Master Urban Plan of any other neighborhood in Beirut. BCD is the country’s real estate trend setter and currently claims the country’s records in height, in luxury, in services, in amenities, in design, and in urban planning. BCD also offers some of the country’s most unique and most prestigious architectural gems: mega, ultra-modern apartments and exquisite private palaces and villas. 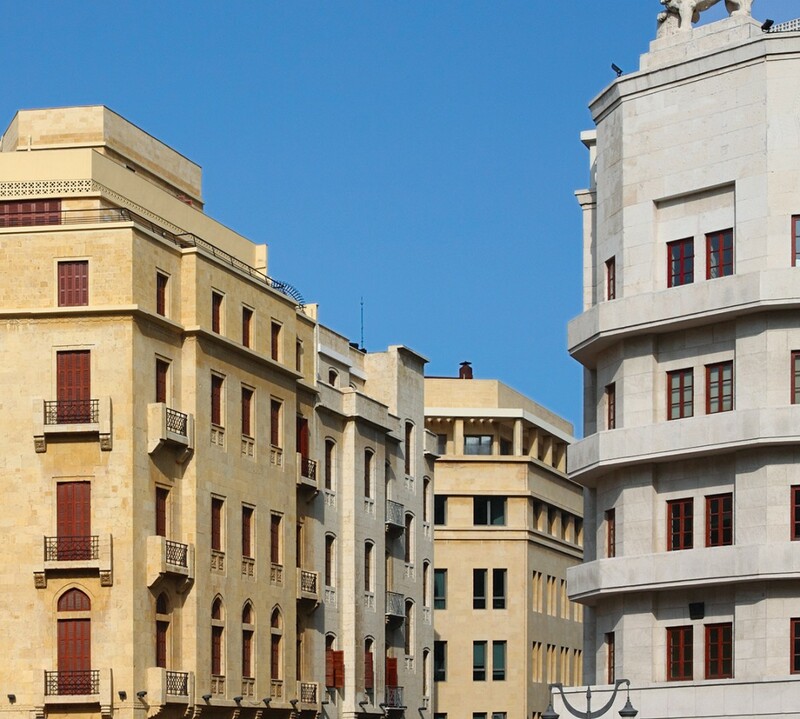 One of the earliest residential neighborhoods to be completed at the reconstruction of Beirut Central District (BCD) at the end of the 1990s, Saifi Village was a quasi pilot project to test the potential of downtown Beirut. 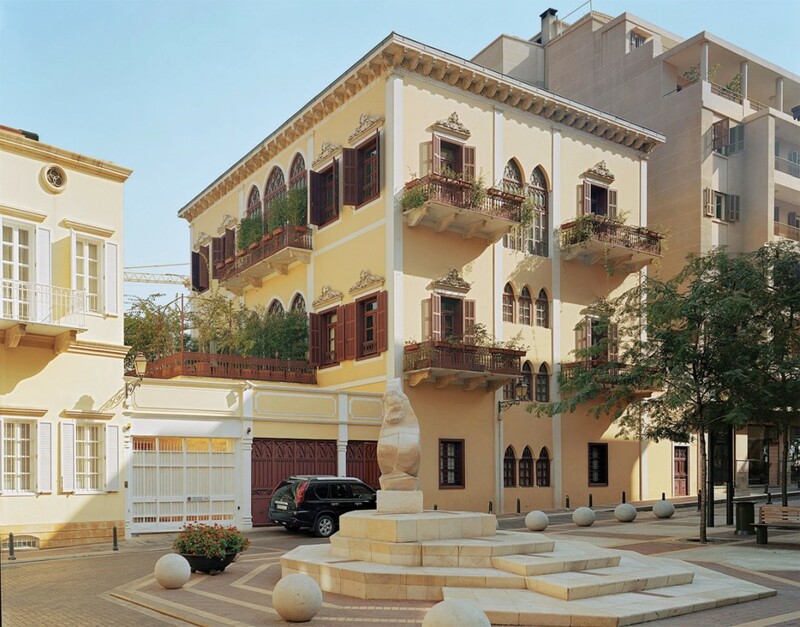 Located at the south-eastern end of BCD, in the old carpenters’ quarter of Said Akl Street, Saifi Village is a highly atypical residential neighborhood of Beirut. Well restored and immaculately planned, Saifi Village is unique in Beirut. It was immensely popular and vacancies were extremely rare. However, despite its many advantages, Saifi Village is not totally unaffected by the general slowdown in the real estate market of Beirut. Selling prices are stable (sometimes on a slight decrease), rental values are dropping, more and more retail units stand vacant, and an altered or held up project. Some fifteen years after the development of Solidere, the southernmost strip of BCD counts 13 vacant plots near the Ring Road (Fouad Chehab Boulevard). The area’s sagging popularity is in clear contrast with the residential boom of Wadi Abou Jmil or Minet el Hosn, where several projects are currently taking place and many others have been completed. On the contrary, only six projects are under way in southern BCD, five of which are located in the area of Saifi Village and one in Zokak el Blatt. That it should be lagging behind other areas of BCD is not surprising, as Southern BCD sits across a very busy, noisy, polluted highway that seperates it from some of the poorest residential neighborhoods of Beirut, such as Bachoura and Zokak el Blatt. Once the rest of BCD is fully developed, the Southern strip will have its turn. 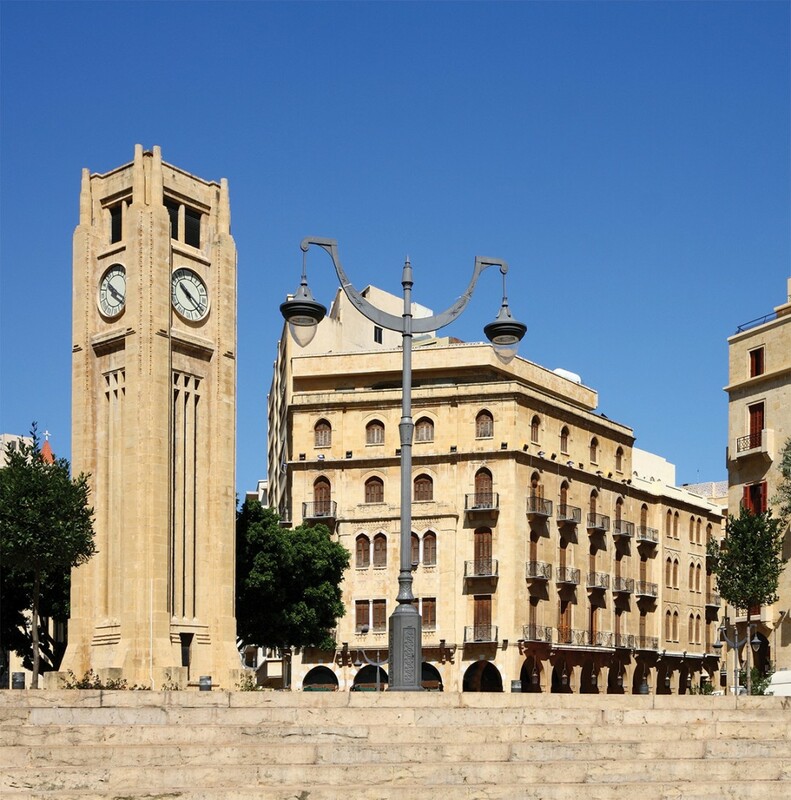 Nejmeh Square is the historical center of downtown Beirut. 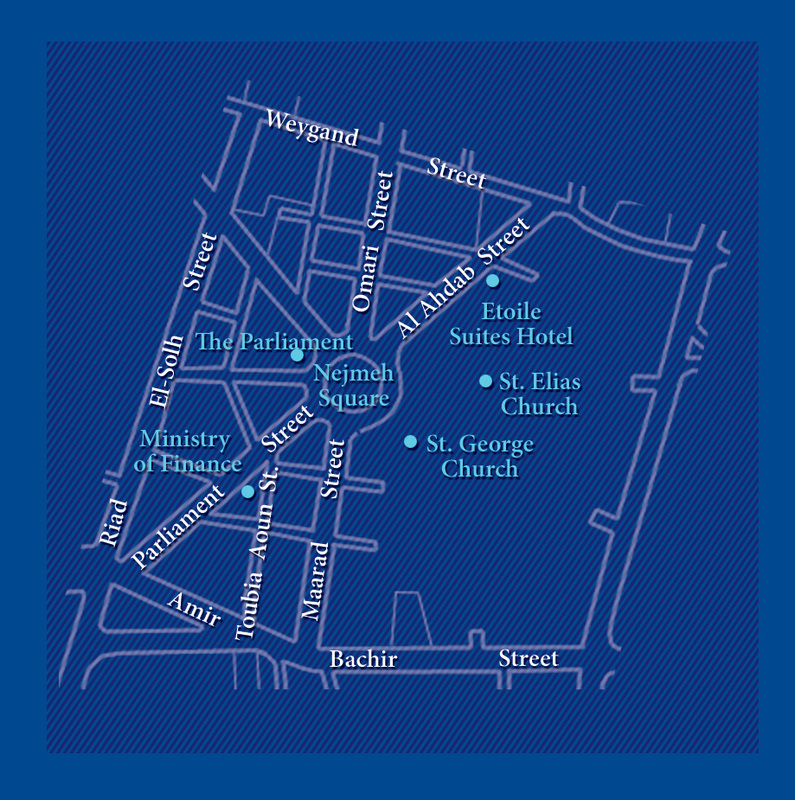 It is a business and commercial destination as well as the location of a number of public institutions and places of worship. Nejmeh Square is the site of the Lebanese Parliament Building and it is famous for the Abed Clock that occupies the center of the square. With a number of French Mandate buildings dating back to the 1930’s, unique arcade walkways on Maarad and Al Omari streets, the many restaurants and cafés, the area offers a unique setting that attracts strollers, families, and tourists. 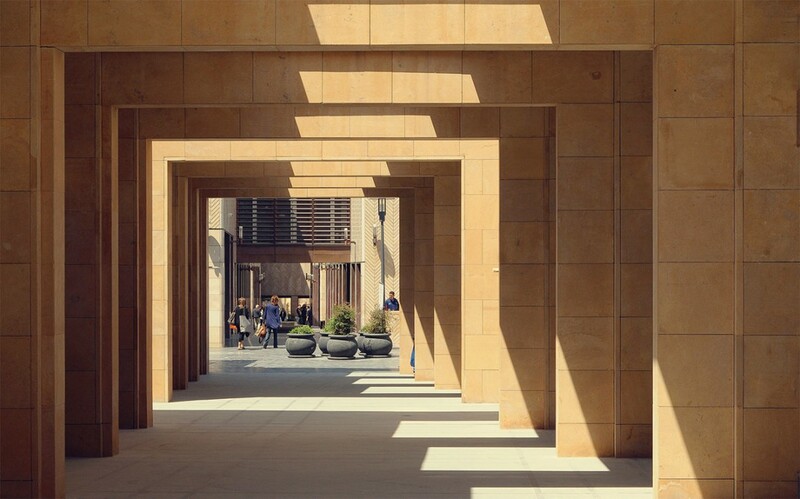 The entire Maarad-Nejmeh Square area is one of the rare pedestrian areas of Beirut, creating a convivial ambiance.